Do you watch reporters on the television and think about how much that career would suit you? Do you yearn to deliver front page headlines as a newspaper reporter? If so, then a Bachelor's degree in journalism may be just the educational path for you! Of course, before you can begin working on your degree you must first complete your high school requirements and obtain your diploma. Once you have selected the higher learning institution that you would like to attend, you should apply to gain admittance. In addition to your high school diploma, many four year colleges and universities will require you to submit writing samples and demonstrate a proficiency in public speaking and English related areas. This is primarily due to the extensive level of writing that you will be required to complete in your major communictions courses. As you begin working on your Bachelor's degree in journalism you will be completing concentration courses such as advanced reporting and writing, photojournalism, multimedia story coverage, ethical issues in public relations, broadcast journalism, basic fundamentals of mass communication, graphic design, magazine writing, and television news writing. Of course, this four year degree will also require that you complete general education courses like history, social sciences, math, English, and psychology. Many traditional colleges encourage journalism majors to choose an area of emphasis or to select a secondary major. Your journalism degree will make it possible for you to seek employment as a copy editor, a media researcher, a photojournalist, a news correspondent, a magazine writer, a public relations specialist, or a news reporter. While your specific job duties will vary depending on your employer and the capacity in which you were hired, there are some constants that you can expect in this line of work. For example, you will probably be responsible for conducting research in order to prepare for a story or newsworthy piece. This may include interviewing people who are involved and is sure to be followed by intensive editing and fact checking before the piece is ready for an audience. If you are a copy editor, then it will be your duty to edit and correct written articles. This will include correcting grammatical errors, spelling errors, and punctuation mistakes. Fact checking, creating a headline, and increasing clarity and length may also be among your responsibilities as a copy editor. 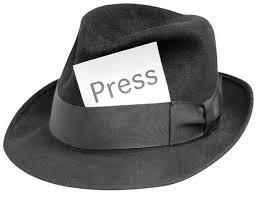 As a reporter you will need to stay abreast of any late breaking news in your area. Depending on your job assignment, this could include sports, crime, or even finance. It will also be your responsibility to create the story or broadcast for the anchors. Regardless of which career path you choose, it is a good idea to create a portfolio of your work. This will help you to adequately demonstrate your abilities to future employers or to showcase your talents in the event of a desired promotion. Of course, like with many other careers, advancing your education degree level will allow additional career options to become available. Your Bachelor’s Degree in Journalism is a must if you are serious about the industry but no degree can help you achieve your goals by itself. The below traits are what is really needed if you want to be a successful journalist. Attitude – Having the proper attitude is key to being a top journalist. It is the attitude that you possess that will allow you to get great interviews as well as allow the person you are interviewing opening up. Attitude will play all the difference I the world. Specialized – As a journalist you’ll want to be specialized in a particular topic. Some journalists focus on politics some local news where others can be investigative. Live for the News – You have to have a passion for news. Every moment of your career you’ll be looking for stories to cover that you are passionate about. Good Following – These days the ability to connect with so many people online give journalists a much wider audience. People follow good journalists as they typically write about topics important to them. A good journalist will have a big following and publications will want you to write for them so they will have access to your followers. Honesty and Integrity – Without a doubt as a journalist you’ll need to be able to be trusted and with that comes integrity. Some stories are hard to cover and even sourcing the story can be challenging but every journalist has an ethical obligation to stand behind what they are reporting as truth. Researcher – Great journalist don’t wait for a story to come to them, they go looking for it. Investigative journalist can spend months, even years going after a story that they feel passionate about.